The Canon LP-E17 Battery takes approximately 30 minutes to recharge (results may vary) and lasts for around 500 shots (250 for the Canon EOS RP). 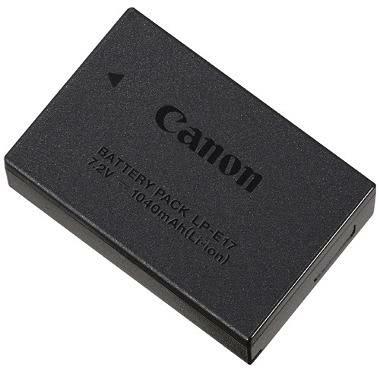 Note that when shooting video, this battery may drain as soon as 30 minutes, so rent spares. This battery is not compatible with other Rebel models.